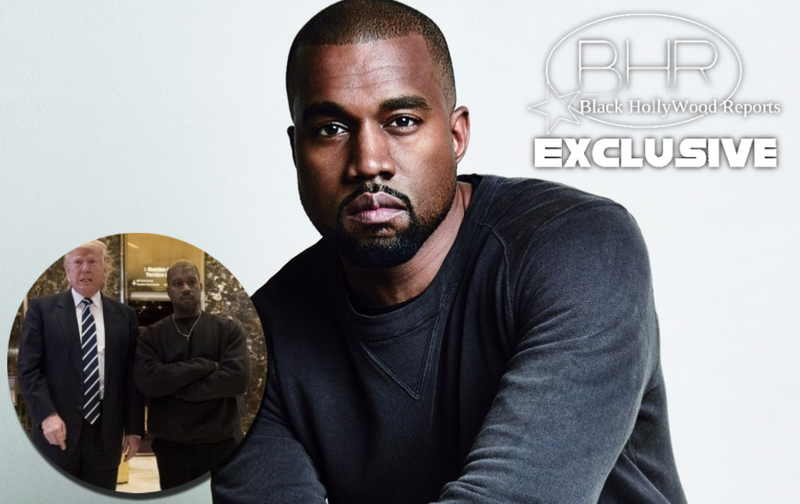 BHR Hollywood Reports.............Kanye West has finally realized that the guy banning Muslims from entering this country, threatening to wall up our borders, and who openly promoted an anti-Semitic agenda on Holocaust Remembrance day isn’t the sort of person he should be hanging around with. 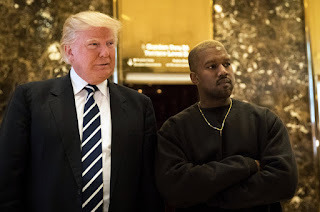 According to reports, West has deleted all of his pro-Trump tweets and explained that he no longer supports Trump, and it’s all apparently because of the president’s extremely controversial and racist immigration ban. 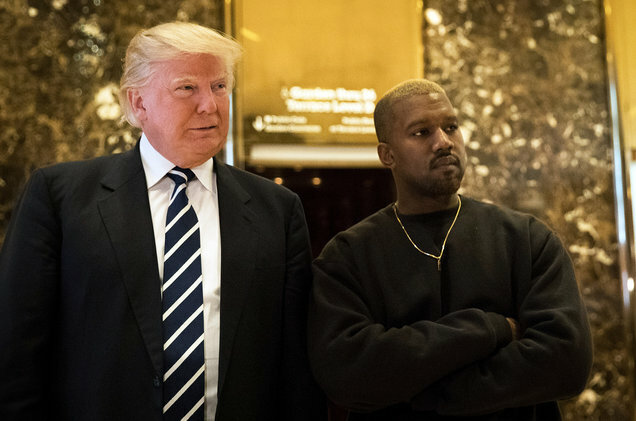 In the tweets, West declared that he wanted to discuss "multicultural issues" with the president-elect, adding that he felt "it is important to have a direct line of communication with our future President if we truly want change." Following the controversial actions Trump has taken since taking office on Jan. 20, though, it seems West isn't so keen about keeping a good relationship with the new president. Upon deleting the tweets, West didn't tweet anything about his rather peculiar action. Thus, the reason for the sudden deletion isn't entirely clear, but sources have said Trump's "Muslim ban" and other actions have made West change his mind about supporting Trump. West hasn't been the most prominent on Twitter as of late. His most recent tweets involve support for his fellow rappers Big Sean and Migos -- who released an album Feb. 3 and Jan. 26, respectively -- and a family Christmas photo from a month before that.